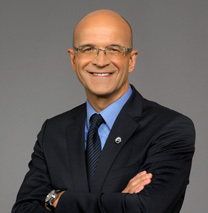 José Boisjoli is President and Chief Executive Officer of BRP since December 2003, when BRP became a standalone company. In October 1998, Mr. Boisjoli was named President of the Snowmobile and Watercraft division, the largest division of Bombardier Recreational Products. In April 2001, he was given the added responsibility of managing the ATV division. Mr. Boisjoli joined Bombardier's Recreational Products division in 1989, after eight years in the pharmaceutical and road safety equipment industries. Mr. Boisjoli holds a Bachelor of Engineering from the Université de Sherbrooke. In April 2005, Mr. Boisjoli received the prestigious title of Executive of the Year by PowerSports Business, the most important powersports magazine in the United States and he was the recipient of the Ernst & Young Entrepreneur of the Year award – Québec region in 2014. In December 2017, he was named CEO of the Year" by Les Affaires, a Canadian business newspaper. 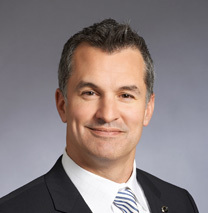 Mr. Boisjoli has served on the board of directors of McCain Foods since January 2018. 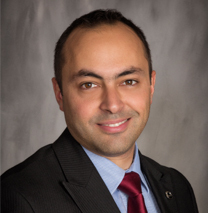 Karim Donnez is senior Vice-President, Strategy, Business Development and Transformation at BRP since July 1, 2015. Prior to joining BRP, Mr. Donnez was general manager Operations – Refinery & Energy and member of the Rio Tinto Kennecott Executive Committee (Exco) and the Rio Tinto America Savings Plans Investment Committee. He was also general manager Strategy and Commercial Investments for Rio Tinto Kennecott in Salt Lake City (U.S.A.) while being a member of the Investment Committee. Prior to this, Mr. Donnez was responsible for various business transformation initiatives as part of the corporate global functions at Rio Tinto, headquartered in London (U.K.). 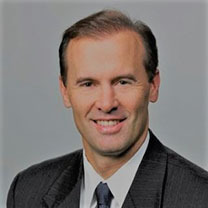 Mr. Donnez also worked several years at Accenture as a senior manager in the Management Consulting practice, focusing on strategy, post-merger integrations and change management mandates. Mr. Donnez holds a Master of Science degree in Engineering, from Arts & Métiers Paris Tech in Paris (France) and a Master in Business Administration (international strategy and finance) from HEC in Montréal (Canada). Senior-Vice President, Global Brands and Communication since October 2016, Anne-Marie LaBerge is a business executive with 20 years of brand and marketing experience in the telecommunications industry. Ms. LaBerge began her career in 1996 at TELUS, the second largest telecommunications company in Canada. 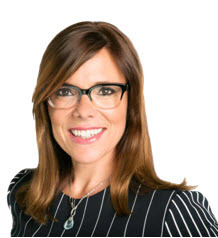 Since 1998, Ms. LaBerge has held various management positions within TELUS and was vice-president, Brand and Marketing Communications until May 2016. She received the 2011 Strategy Magazine’s Marketer of the Year award and the 2011 Québec Women in Business award – Large Corporations. She serves on the Board of Directors for Imvescor, a Canadian public company in the restaurant industry. Martin Langelier is Senior Vice-President, General Counsel and Public Affairs. Mr. Langelier has been with BRP since 2003. Before BRP became an independent company, Mr. Langelier acted as legal counsel for Bombardier Inc.’s recreational products division. Over the course of his career, Mr. Langelier has developed a solid expertise in legal matters while playing a vital role in the process that led to the creation of BRP. Before joining the powersports industry, Mr. Langelier worked for five years in private practice for the legal firm DeGrandpré Chait LLP in Montreal, Canada. Mr. Langelier holds a Bachelor of Laws from the Université de Sherbrooke and a Master of Business Administration (MBA) in International Business from Birmingham Business School, England. He is a member of the Barreau du Québec (Québec’s bar association). Denys Lapointe is Senior Vice-President, Design, Innovation. 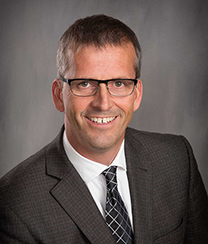 Prior to his current position, Mr. Lapointe was executive vice-president, Design & Innovation (2008-2012), vice-president Design & Innovation (2001-2008) and vice-president, Design Sea-Doo/Ski-Doo (1995 to 2001). He joined the company as a junior product designer for Sea-Doo watercraft in 1985. Mr. Lapointe holds a Bachelor of Arts in Design from the Université du Québec à Montréal. 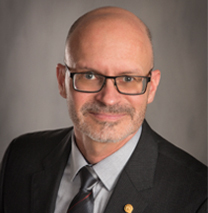 Mr. Lapointe is a board member of the Centre de technologies avancées BRP – Université de Sherbrooke (CTA) and a member of the Advisory Board for the College for Creative Studies in Detroit, Michigan. He is a member of the following design associations: the International Council Society of Industrial Designers, the Industrial Designers Society of America, the Association of Canadian Industrial Designers and the Association des designers industriels du Québec. Mr. Lapointe was inducted into the National Marine Manufacturers Association Canada (NMMA Canada) Hall of Fame in 2017 for his contributions to the marine industry. Anne Le Breton joined BRP in 2002. She has held several positions in the company’s Human Resources department, including Director – International division in Lausanne from 2005 to 2009. Upon her return from her assignment abroad, Ms. Le Breton worked as Vice-President in various divisions of BRP from 2010 to 2015. In 2016, she became Vice-President of Global Human Resources and Health, Safety and Security. Anne Le Breton holds a bachelor’s degree in industrial relations from the University of Montréal and worked at Bombardier Aerospace as human resources manager for Canada and the United States before joining BRP. Anne is a member of the CRHA (Certified Human Resources Professionals). 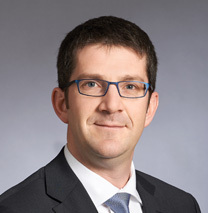 Sébastien Martel is Chief Financial Officer since May 2014. Before his appointment, Mr. Martel was vice-president, Strategic Planning and Business Development. Mr. Martel has been with BRP since 2004 and has, over the past 10 years, assumed different roles in the finance function of increasing responsibilities, such as: director, Financial Information, and vice-president, Finance & Controls. Prior to joining BRP, Mr. Martel worked at Deloitte & Touche LLP as well as at Arthur Anderson LLP as a senior manager in the audit processes on public companies, where he was involved in various initiatives dealing with Canadian and US GAAP, public offerings, derivatives instruments, venture capital financing, etc. Mr. Martel has an undergraduate degree and a diploma in Chartered Accountancy from McGill University. 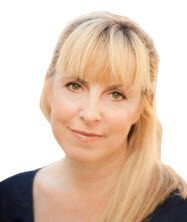 Josée Perreault is Senior Vice-President, Spyder since October 2016. Ms. Perreault has over 23 years of experience in the international wholesale and retail business within the consumer goods industry. She served as the Senior Vice-President of World Business for Oakley from 2010 to 2015. She joined Oakley in 1994 as general manager of the Montréal subsidiary. Ms. Perreault subsequently held numerous positions worldwide within Oakley in Paris and Zurich as the Regional Vice-President of the Europe, Middle-East and Africa region. Prior to joining Oakley, Ms. Perreault held many positions in Canadian companies related to business and brand management. 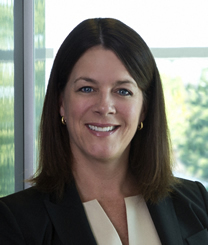 She is also currently a member of the Board of Directors of Lumenpulse Inc. and of WSP Parsons Brinckerhoff. Sandy Scullion is Senior Vice-President, Global Retail and Services, Powersports. Mr. Scullion joined the company in 1994 as a district sales manager and gradually worked his way up the ranks. He was Vice-President and Regional Manager of BRP’s Western Europe, Middle East and Africa (WEMEA) region from 2014 to 2016. Previously, he worked with the North American Parts, Accessories and Clothing (PAC) team for nearly ten years, six of those as vice-president of PAC and Global Distribution. Under his leadership, the image of “accessorization and lifestyle” associated with BRP’s brands was transformed and BRP saw major growth in PAC revenues. Mr. Scullion has a Bachelor in Business Administration from Université Laval in Canada with a specialization in Finance. Tracy Crocker brings BRP Marine Group more than 30 years of experience with global companies, including Proctor & Gamble, Pepsi, Ecolab, and Arctic Cat. An accomplished strategist and team leader, he has extensive experience in game changing new product innovation and go to market strategies. He has successfully led multiple turnarounds by connecting strategies to teams that in turn drive market share, accelerate revenue, and build sustainable bottom line profits. Tracy specializes in new product revitalization and performance maximization. Bernard Guy is Senior Vice-President, Global Product Strategy. Prior to his current position, Mr. Guy was Vice-President, regional general manager, North America at BRP since 2014. 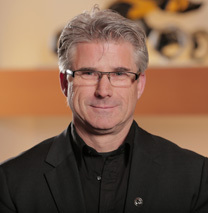 He also held the positions of Vice-President, Sales and Network Development, North America from 2012 to 2014, Vice-President, Sales and Marketing, Can-Am from to 2009-2012 and director, Can-Am Marketing from 2006 to 2009. Mr. Guy joined BRP as a project engineer for Ski-Doo snowmobile R&D in 1987. Over the course of his career, Mr. Guy held several roles of increasing responsibilities in many sectors of the business, such as engineering, process reengineering, procurement, business development, strategy and product planning. Mr. Guy holds a Bachelor in Mechanical Engineering (1986) and a Master of Business Administration (1992) from the Université de Sherbrooke in Canada. 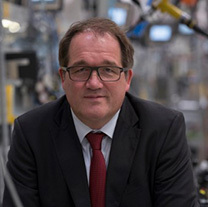 Thomas Uhr, General Manager of BRP-Rotax GmbH & Co KG and Vice-President Powertrain BRP and R&D/Operations Lynx since January 2014 worked prior in the automotive industry for more than 20 years. He holds a degree in Production Technology Engineering from the University of Aachen, Germany.